"A fun bent note swagger in his playing. "Cadence Magazine"
This quote sums up quite well that the Blues influence is prevalent in Jim's playing. this influence. The CD features fine solo work of Bassist Seaton and excellent drumming by Andrew Griffith. Number four on the CD is a medium tempo Blues which demonstrates Shannon's versatility via finger style solo guitar. To purchase from CD Baby (Purchase CD or mp3 download) click above link. CD baby is 100% reliable and efficient. Scroll down for another CD, video and more samples. "Might seem simple-a guitar / bass / drums trio-but as Monk is supposed to have said, "Simple ain't easy." Shannon is a fine, mobile guitarist with an attractive sound and an easy way with an improvised line: he reminded me of Herb Ellis in his melodic ways, Wes Montgomery in his octaves. He doesn't affect a harsh sound, and he doesn't fill every bar with notes. Shannon can also construct sweet chordal passages, as in his introduction to "Who Can I Turn To?" Seaton offers this trio a large woody sound, and drummer Griffith is responsive to the music and his colleagues. Entertaining music that will please the non-Jazz listener as well as the guitar fancier. 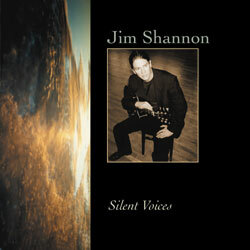 Listen to music from "Out of the Blue"
Jim Shannon's music reflects a poetic passion for his instrument and the ability to mirror the essence of experience. It contains the refreshing sound of a unique musical contrast. The passion and elegance of the classic acoustic guitar and the soul of the Jazz guitar. Two instrument personalities magically melded into a singular focus. "Whatever Shannon�s playing, he can put you in the moment---completely." but bring a smile to your face." Listen to music from "Silent Voices"! Live TV/complete version click here. 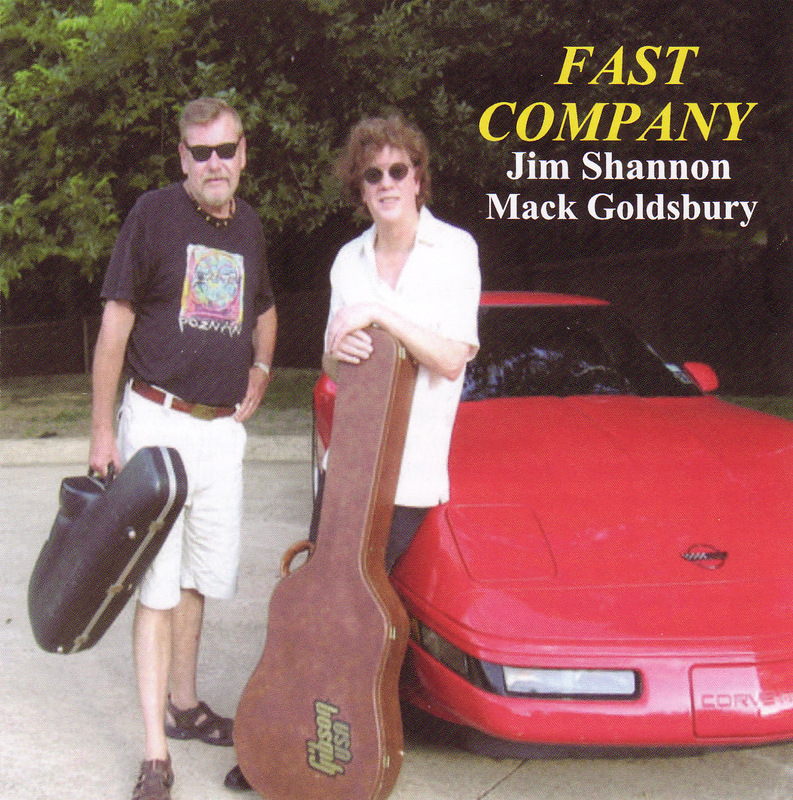 Jim Shannon and master saxophonist Mack Goldsbury decided a CD together was long over due. It was decided that the music would consist of standards with a Blues written by Jim thrown into the mix. The Duo makes the selected tunes sound as if you are hearing them for the first time. The intimacy gained by live recording puts Mack and Jim right in your living room. Spontaneous in the moment renditions of great music! Listen to music from "Fast Company"!